NARA M1972. Petitions for Naturalization of the U.S. District Court for the Southern District of New York, 1897-1944. Each immigrant's file contains images of declarations of intention, petitions for naturalization, oaths of allegiance, and sometimes additional data. 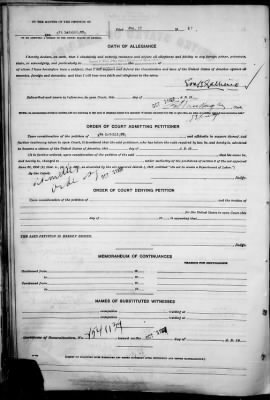 The papers provide a wealth of information about the petitioner's family, birthplace, occupation, date of immigration, and more.